Wow, five New Jersey ShopRites in one week! Bloomfield, Byram, Fair Lawn, Hillside, and now Parsippany. This store was built in the 1990s as a replacement for an older location next door at 790 US-46 which is now Bed Bath & Beyond. Parsippany shares an owner with the nearby famous Japanese-themed ShopRite of West Caldwell and measures nearly 90,000 square feet. The sprawling store has been expanded into neighboring storefronts and boasts a full liquor store (unusual for New Jersey), a Kosher butcher, a coffee shop, multiple prepared food bars, a pizzeria, and just generally more selections in each department than most other stores (several dozen kinds of bagels and house-made specialty cream cheese, for instance). Check out the size of those letters. Look at the guy walking in the blue shirt as compared to the S, which is probably at least 10' tall! And welcome inside! Hey, I guess some people pronounce the word "always" without the l. But anyway, this time I don't have to confuse you with a rambling description of the store's layout. Here's the store directory (believe me, you'll need it). As you can see from the logos on the top left, this store is owned by Sunrise Supermarkets. In addition to this location and the ShopRite of West Caldwell (coming soon to The Market Report), Sunrise owns full liquor stores in Caldwell and Westfield. So take a minute to look over that layout, and we'll begin our tour, heading through the store clockwise. The store originally ended where "coffee" is, with deli (labeled "appy" in true New Jersey fashion), produce, and liquor taking up two different expansions. And welcome inside! The entrance is along the front wall under the painting of the house pretty much straight in the center of this picture. We're looking along the front end down towards frozen foods from the grand aisle. Unfortunately I have no idea what this painting is, and I don't know any context. There's a sign just to the right, but I don't remember what it says and this photo is too blurry to read it. Anyway, it's a nice touch and contributes to the overall feeling of this enormous superstore as a friendly neighborhood market. Another look along the front-end as we move towards produce/deli (which is behind me in the above picture). Before we get there, we have to take a look at the vast cheese department, which also includes custom-cut specialty cheeses. Yes, it's separate from the deli counter! Now over to produce, again looking towards the front wall. I particularly like the metal awnings along the wall since they give a rustic and outdoor-produce-market feel. The liquor store continues past produce in a second expansion. Along the back wall of the produce department, we find the deli and the coffee counter. I don't seem to have a picture of the deli counter, so we'll have to substitute with a picture from Google Maps. Also check out this better picture of the liquor department here. Here we can see the back of the cheese counter and the coffee shop looking over towards prepared foods. The café, which also includes a kitchen for cooking classes, is located just behind the coffee shop. I've eaten here plenty of times. Very good food! The bakery is just out of frame to the right along the rest of that wall, with prepared foods opposite in an island extending along the entire length of the grand aisle. Sushi, Asian foods, and pizza in the front. Hot food and sandwiches are in the back. We can also see the bakery counter along the back and side walls. One of three salad and cold prepared foods bars. You can see the café to the left with the green wall. Looking back up towards the front wall of the store. I seem to have missed the million-dollar shot, the never-ending bakery case, which includes self-serve cookies, pastries, muffins, donuts, rolls, and bread. (Here, the bagels get their own department. To anyone who's not from New Jersey, bagels are serious business in the Garden State.) You can get an idea of the case by seeing about 1/3 of it here. Looking from bakery back over to prepared foods. The grocery aisles continue on the other side of the service counters. If I had one complaint about this store, it would be that this grand aisle area tends to get cluttered up with a lot of junk that really shouldn't be there. Otherwise, it's an amazing grand aisle. Closeup of the Sunrise Kitchens hot food bar. The back of this island is a service sandwich counter. A look at the bakery department in the back corner. Check out those breads! Only in New Jersey would a supermarket have a full bagel department. Seafood is the first service department next to bagels on the back wall, followed by the kosher butcher and then the butcher/meat department. The ship captain figure visible in the bottom of this picture has been appearing in multiple ShopRites recently (including at least two different owners' stores). Kind of looks like something ShopRite would have been putting in their stores 30 years ago! Closeup of the seafood counter. 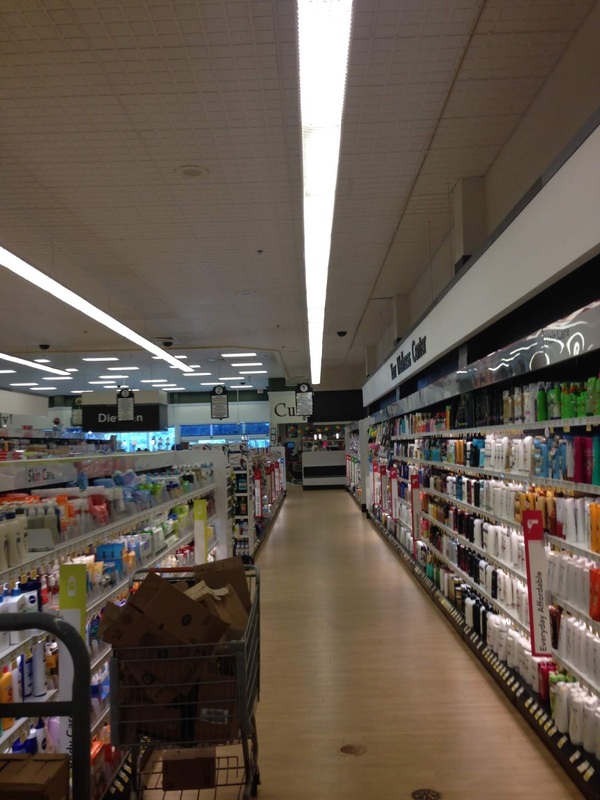 The first two aisles are actually a double-wide aisle containing most of the HABA, the service pharmacy, and a dietitian's office. This area was redone more recently than the rest of the store and looks fantastic. Several directories around the department coordinate with color-coded category markers, making for very easy navigation. 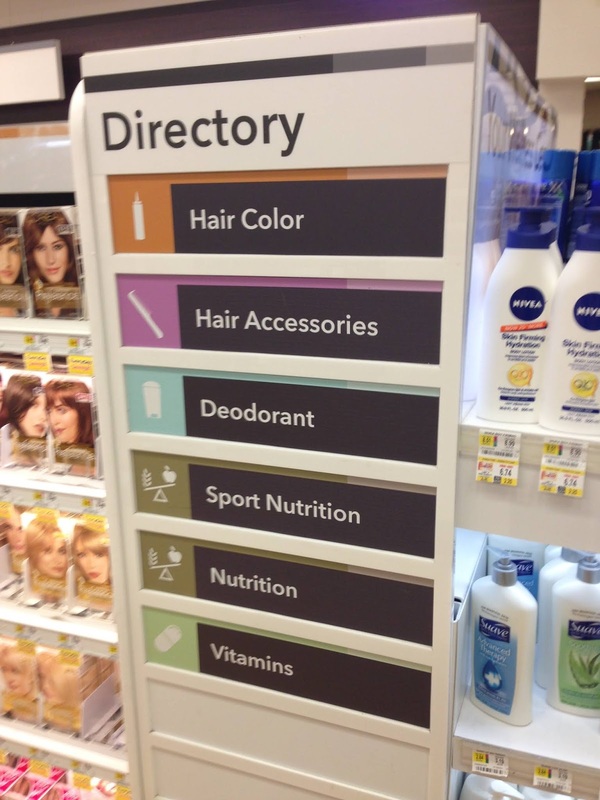 I wish the rest of the store were as easy to navigate as this! Dietitian's office in the front of the aisle. Across the front aisle from this counter is the customer service counter. Continuing along the back wall, we hit the kosher butcher and the regular butcher, then the packaged meats. The cases opposite the meat department contain frozen meat products, and the other side facing the grocery aisles holds additional beer. Heading over into the grocery aisles, we see a large selection of kosher dry goods as well, along with standard groceries. The store is bright and clean throughout, if not overly exciting in the grocery aisles. 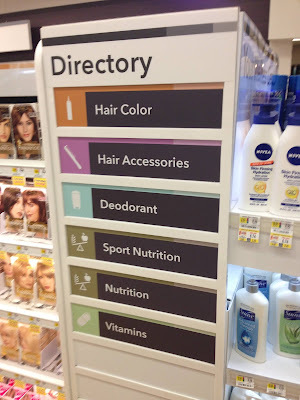 Several of the nonfoods departments at the far end of the store are branded, or at least get their own department signage, such as this aisle with baby products. As large as the store is, it only contains 17 aisles. (This is because most of the additional space is taken up by the grand aisle.) The last aisle is dairy, with frozen foods in the front corner of the store. The dairy department here certainly commits to its cow pattern more than what we saw in New London! Frozen foods and the ShopRite from Home department (pickup and delivery) are located in this front corner alcove. Fantastic mural on the front wall here, but it's time to replace those coffin cases! Here's a look across the front end back towards produce. And I hope this huge yet quirky and small-town-feeling ShopRite has made your day! Come back tomorrow to finish out our second ShopRite week with one last tour. I've seen that ship captain statue thing in the Washington store on Route 31. I thought the guys there must've bought it at a yard sale or something. Guess someone at Wakefern must be buying them. I guess so, although that thought is marginally horrifying. I think Livingston has it too, and I know I've seen it elsewhere as well. Is the statue possibly an advertisement for Gorton's? I see a slight resemblance! Oh, you might have a point there. Good catch (ha ha)!